Trying to lose weight during pregnancy? Think again! 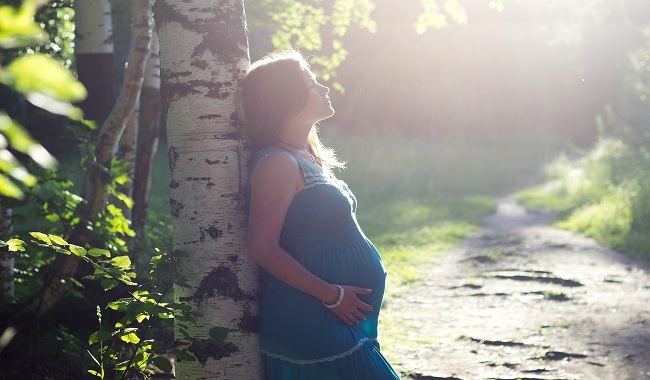 Gaining weight during pregnancy is inevitable. Every woman gains some weight during pregnancy right from the early phase. While women usually gain couple of pounds during the first trimester, the weight gain go as high as a pound every week during the second and third trimester. Moreover, factors such as initial weight, being underweight or overweight, age and fitness also play roles in determining the weight gain during pregnancy. Despite pregnancy weight gain being so normal, several women fail to accept it. Some women get uncomfortable with the thought of weight gain. The extra poundage may affect some women enough to cause stress. But if you are thinking that’s as bad as it can get. Think again! Because it gets worse when pregnant women try to lose weight during pregnancy. You can lose weight whenever you want as long as it is between healthy limits, then why not during pregnancy? Because, everything you would do to lose weight would affect the foetus too. If a pregnant woman starts depriving herself of food to lose weight, she is also depriving the foetus of much needed nutrition. In addition, if she decides to add more physical activities to her daily routine, then it may cause harm to the baby as well to her own health. Therefore, it is recommended to eat a balanced healthy diet during pregnancy and perform simple exercises or activities. On the other hand, it is also recommended to keep the weight gain under check as anything, which is not normal during pregnancy, may affect the baby. A woman should have a BMI (body mass index) between 18.5 and 24.9 at the start of the pregnancy and the weight gain should be between 25 and 35 pounds during the pregnancy. Women who start their pregnancy with a lower BMI should gain between 35 and 40 pounds during the pregnancy. On the other hand, women who start with a higher BMI should gain between 16 to 26 pounds during pregnancy. It’s normal to feel uneasy about any sudden change in your appearance however you don’t have to fight it always. Accept the change and feel joy in the reason behind the weight gain.